ln Trumped by Grace, Peter Stiles shares a stunning poetic ear. And what is more, since that ear is informed by the Word, we find our joy doubled. "My gaze to the horizon is a prayer," writes Peter Stiles in one poem. The whole of Trumped by Grace is informed by prayer by attention to what Marilynne Robinson calls the "difficult, ordinary" life that we live, and by a sense that the things and events we cherish are always in danger of losing their being. The Christian's gaze always seeks to preserve that being, to keep the ordinary in the aura of the sacramental, and that is surely the poetics deeply at work in these poems. ...carefully crafted poems... to be savoured as they effect the task of all true poetry - to render wonderful again the world in which we live, in its particularities and beauties, its sorrows and its joys, all sustained by the love of God. Stiles discerns metaphysical truth in the everyday material world, effort- lessly producing poetic pieces that speak of wonder, beauty and truth. 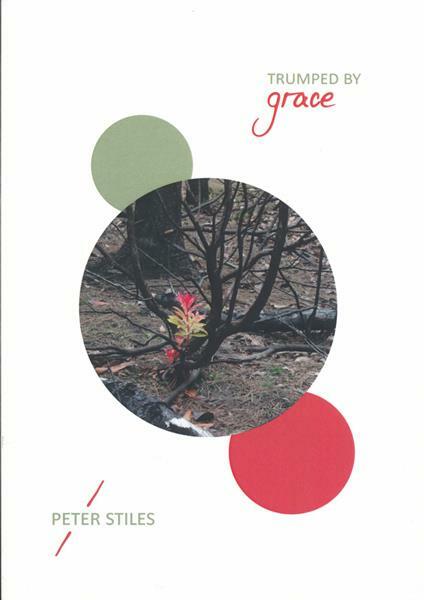 Here are poems where the writer and reader alike are 'trumped by grace', as the grace of God is caught seeping into an everyday world and transfiguring it.